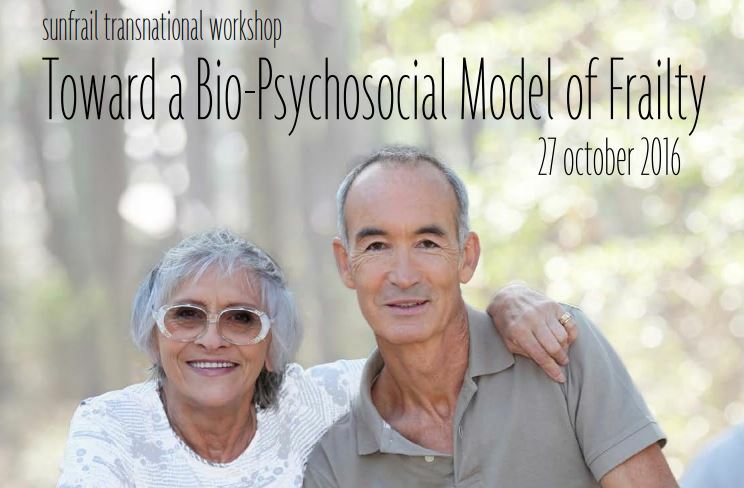 On the 27th of October, Azienda Ospedaliera Universitaria Federico II will host SUNFRAIL’s 2nd Transnational Workshop: “Toward a Bio-Psychosocial Model of Frailty: the SUNFRAIL model to improve health outcomes and sustainability”. The workshop will take place in Naples, Italy, gathering all project partners, members of the Advisory Board and invited external experts to discuss common tools for early identification and management of frailty and multimorbidity through health and social care services and the operationalisation of a response to frailty and multimorbidity. The event will also include presentations of good practices in the field and will provide insights to external participants into the project’s objectives, challenges and results. A day before the workshop, the 2nd Steering Committee Meeting will take place where all project partners are going to discuss in detail the coordination of project activities, and contemplate on the design and evaluation of the SUNFRAIL model for frailty and multimorbidity. SUNFRAIL is a European project with a duration of 30 months, which started in May 2015. The project aims at improving the identification, prevention and management of frailty and care of multimorbidity in community dwelling persons (over 65) of loco-regional settings of EU countries. The dissemination of the project’s results and the potential replication of the model/good practices in other EU countries is led by EUREGHA. To access the workshop agenda, please go here. To register for the workshop, please fill out this form. More about the project you can find here. If you want to receive EUREGHA newsletters every two months and staying updated on our events, you may opt-in here. The EUREGHA Secretariat will treat your data for the only purpose mentioned here.